Sustainable consumption will soon become one of the biggest, boldest goals for our planet. Our political, civil and business leaders will join together to declare that consuming sustainably is no longer a niche pursuit. Instead, we need the whole world to know about it. For businesses, this sounds like exciting times. 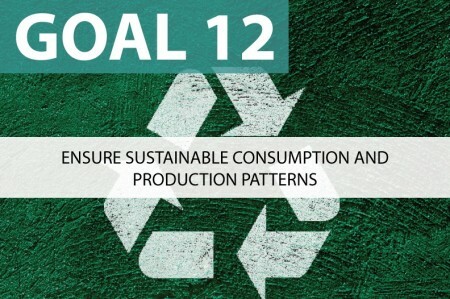 Unfortunately, SDG number 12: Ensure sustainable consumption and production patterns, muddles the distinction between production and consumption, ignores social aspects and relies on a dangerous fantasy that we need mass awareness to mainstream sustainability. Firstly, what’s this goal all about? Sustainable production and consumption is about improving quality of life without increasing the environmental burden. Rising demand for energy, food, water and other resources causes material depletion, environmental degradation and climate change, pushing the earth towards its environmental limits. Meanwhile, there are massive opportunities to sell products that enhance health, improve safety and enable people to live more fulfilled lives. Crucially, companies (regulated by governments) are responsible for production, but consumers are the driver of consumption. The SDGs seek ‘the sustainable management and efficient use of natural resources’ by 2030. This will involve governments reducing subsidies for fossil fuels and targets to “substantially reduce” waste and, in particular, halve food waste. The big elephant in the room that the SDGs seem to dodge is growth. Overall demand is rising and it will continue to rise, particularly if we are to meet SDG number 1, and lift millions out of poverty. You can make the processes more sustainable, but if total demand rises faster, the outcome may be less sustainable overall. The role for business is remarkably vague. 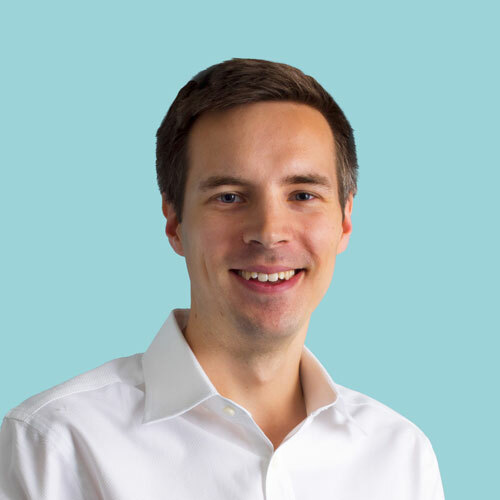 The only specific mention suggests multinationals “adopt sustainable practices and to integrate sustainability information into their reporting cycle”. This is woefully unambitious. Given that 10,000 companies already produce an account of their non-financial performance, the pressing need is for more action and transparency on the right issues, not just more reports. The area where marketers may get excited is target 12.8: “By 2030, [we will] ensure that people everywhere have the relevant information and awareness for sustainable development and lifestyles in harmony with nature”. Sounds great, right? Unfortunately, this is misguided for two reasons. Firstly, this target is all about green stuff – it focuses on environmental, not social sustainability. By mentioning “harmony with nature”, the target has landed squarely in the carbon, water, waste and biodiversity space. That’s a shame as campaigners argued that one of the main benefits of a goal specifically on this topic was to “highlight wellbeing as the primary objective of consumption and production.” Environmental impacts are critical, but only half the story. Some companies providing water, soap, medicines and other life-enhancing products define sustainable products as those with a lower footprint but also higher social benefit. That’s a much broader scope than this SDG target allows. Research shows that consumers are willing to pay more for socially-responsible products than environmental ones (the ranking goes: humans, animals and then the environment). So a major business benefit is seemingly missing. Social aspects don’t just include the products, but also supply chain issues like human and labour rights. These are covered in other goals, but by framing sustainable consumption as solely about the environment, this target is pointing seriously off course. Secondly, a much bigger problem is the assumption that we want “people everywhere” to have “relevant information” on sustainability. The proposed metrics include using internet keyword searches to monitor whether the world’s citizens (those online, anyway) are aware of sustainable lifestyles. This is a big mistake. People going on Google or Bing today and typing in “where can I buy organic chickpeas?” or “low carbon diet” are not representative of our planet’s seven billion people. Sustainability – whether it’s a preference for organic or reading the labels of what goes into products – is unlikely to ever be a mainstream behavior. But that needn’t put the brakes on sustainability. This highlights the real problem with SDG number 12. It blurs the distinction between production and consumption. One involves companies taking action (regulated by governments). The other requires consumers to demand change. But we don’t have to wait for mass awareness to create a step change in sustainable production. Take the example of consumers buying Coca-Cola’s new PET plastic bottle. It is made entirely from plant materials. Buyers are consuming sustainably without even realising it. So we do not need billions of people to have “relevant information” on “lifestyles in harmony with nature”. We need enough people to be aware to make a change in the market. The different approaches taken by two of the world’s biggest retailers illustrates the muddle that the U.N. has failed to clarify. Target – America’s second largest discount retailer – lists its Sustainable Products as including ethically sourced seafood, organic groceries and a variety of “non-toxic, eco-friendly and beautiful” baby wipes and diapers. Mums and Dads buying these products can sleep more easily knowing they are both helping the planet and keeping baby’s bottom dry. Conversely, Walmart – the world’s biggest retailer – has just launched the Sustainability Leaders Shop. This sells electronics, toys, groceries, shampoo – pretty much everything but only from companies who have passed their sustainability assessment criteria. So the supplying company is sustainable, not the product. Sustainable production is the attraction for the consumer, not sustainable consumption. The products that Walmart has defined as sustainable are produced by businesses taking action – but not necessarily slapping eco-labels on all their brands. The reason for this is that market research shows consumers who shop sustainably always make up a minority. Studies vary by market, but it’s generally between 5 and 20% who will actively purchase products that are clearly branded as ethical or sustainable. As a result, the advice from those who have done it successfully is “Don’t call it green!” In a publication I helped Unilever with a number of years ago, we explained that mainstreaming sustainable living (social and environmental) requires making it easy, desirable, understood, rewarding and a habit. It doesn’t require labelling everything “sustainable”. Most consumer goods companies have woken up to this imperative. They don’t want to sell products to a niche. They want to produce products responsibly and sell them to the mainstream. That sometimes means not talking about sustainability to consumers. Although it’s hard for people who feel passionately about these issues to believe, logos saying “organic” or “co-op made” are actually a turn off to some shoppers. So we can’t wait for billions of people to search for “eco-friendly holidays” or demand “low carbon crisps” to mainstream sustainability. We need more companies to bring responsibly produced products to market and make a success of them. Choice editing means taking the decision on behalf of consumers (like governments banning incandescent light bulbs or supermarkets only selling Fairtrade bananas). By merging sustainable production with this bizarre goal to give the whole planet “information”, the SDGs risk failing to land responsibility at anyone’s door. The power brokers and the decision-makers – in business, politics and civil society – need to be aware. An active and engaged rump of enthusiastic shoppers need to push the boundaries and demand more from the leaders. Collectively, we need to champion and challenge many more companies to embrace the sustainability agenda – not just report on it. But we don’t need every single person on the planet to understand “lifestyles in harmony with nature”. If we wait for that, sustainable development is going to take a very long time. For more companies to embrace sustainability, we just need enough consumers to make it worthwhile.